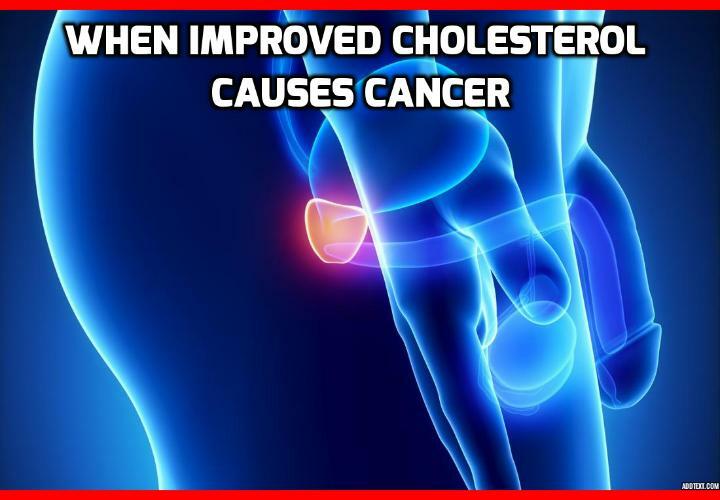 Some weird results about the side effects of having high HDL cholesterol (the good cholesterol), came out of a study recently published in the journal Prostate Cancer and Prostatic Diseases. Apparently, improving your cholesterol level by having high HDL cholesterol can drastically increase your risk of one of the most common, serious cancers out there. The American and Irish scientists conducting the study were at a loss as to why this happened. But as usual, we natural researchers understand it better. Prostate cancer is ranked on a scale called the Gleason scale. If your prostate tissue looks like normal tissue, it is ranked as one, and if it looks extremely abnormal, it is ranked as five. After performing biopsies from different parts of the prostate, the doctor adds those scores together for a Gleason score of, for example, “4 + 3 = 7”. A score of below six is normal, six is low-grade and not terribly serious, seven is moderately cancerous, and eight to ten is high-grade and therefore very serious. The new study analyzed the medical information of 4,974 men collected by a previous study called REDUCE. The men in the REDUCE study had their cholesterol tested right at the beginning. They were also given biopsies after two years and after four years. Interestingly, it wasn’t raising the LDL cholesterol (bad cholesterol) that increased the cancer risk but raising the high HDL cholesterol (good cholesterol). In this study, each additional 10 milligrams of cholesterol per deciliter of blood (10 mg/dl) increased the men’s high-grade cancer risk by 5%, while every 10 mg/dl increase in their HDL cholesterol spiked this risk by 14%. Like other studies, this again suggests that you should not try to aim for high HDL cholesterol artificially using medications. Instead, try to balance your cholesterol diet with good food and lifestyle changes. Summer Oily Skin Care – How to Protect Oily Skin in Summer ? Previous PostPrevious Why this Special Salt Can Really Help You Lower High Cholesterol? Next PostNext What is the Best Way of Eating to Cure All Disease?